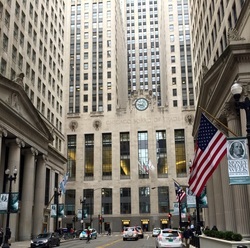 The Chicago Board of Trade (CBOT) Foundation is pleased to provide funding opportunities for non-profit organizations through our grant program. The CBOT Foundation is specifically interested in organizations and projects that assist children in need, seniors, people with disabilities, social and human services within the Chicago land community where we live and do business. Members and employees that comprise our exchange community are welcome to sponsor an organization applying for funding through the CBOT Foundation grant program although all applications will be considered on their own merit. Grant decisions are made by the CBOT Foundation’s Board of Directors.